Security forces in Ethiopia killed four protesters in the country’s eastern Somali region, according to witness reports. Reuters news agency reports accounts from witnesses who say security forces in Ethiopia’s second largest region shot dead four protesters who were demonstrating against the looting of their shops and homes during unrest over the weekend. The president of the region has resigned following violence int he regional capital which has killed at least 29 people. 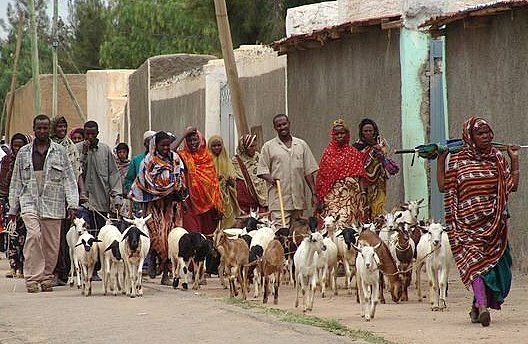 Violence broke out in the provincial capital Jijiga on Saturday. It’s not clear what sparked the unrest but the US embassy in the region said it followed the arrival of troops who allegedly seized control of key highways, government buildings and the city’s airport. The embassy has warned US citizens to stay away from the region. According to religious officials in the region, seven churches were set ablaze and priests were killed in the unrest while an unknown number of citizens have also been killed in the violence. Residents said mobs in the capital started looting banks, businesses and homes and targeting people from outside of the Somali ethnic group.